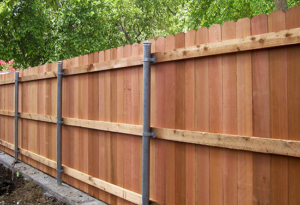 This is our top-of-the-line fence and offers the most privacy and security for your backyard. 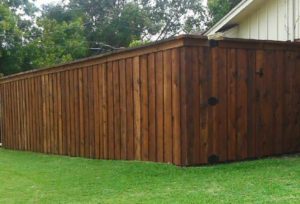 Available in 6 ft tall or 8 ft tall, Board-on-Board Style. 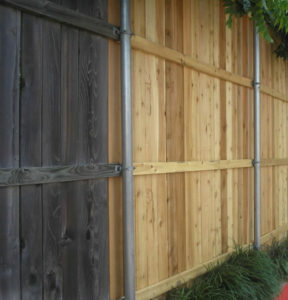 The overlapping pickets allow no visibility into your yard. 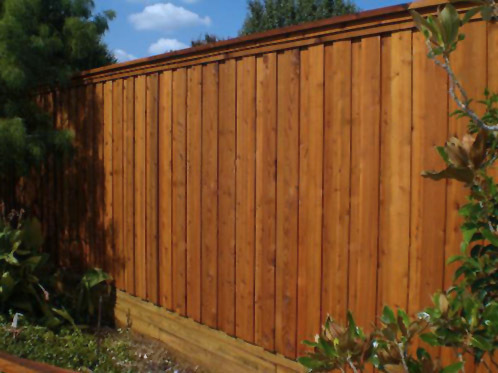 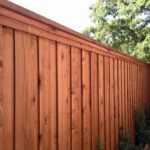 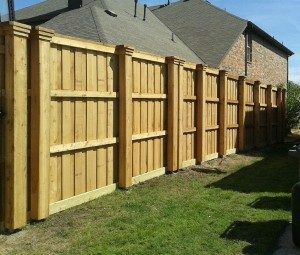 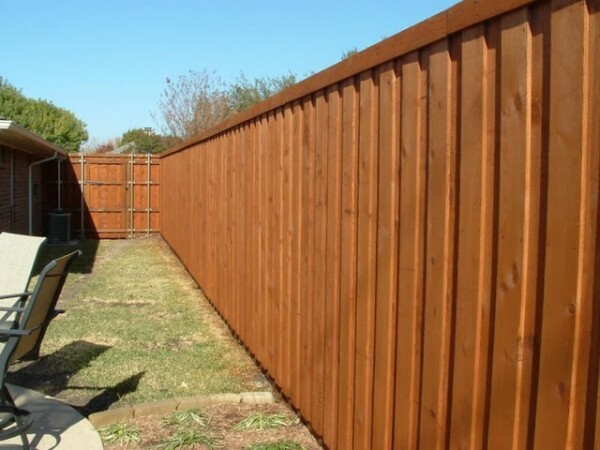 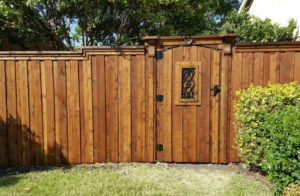 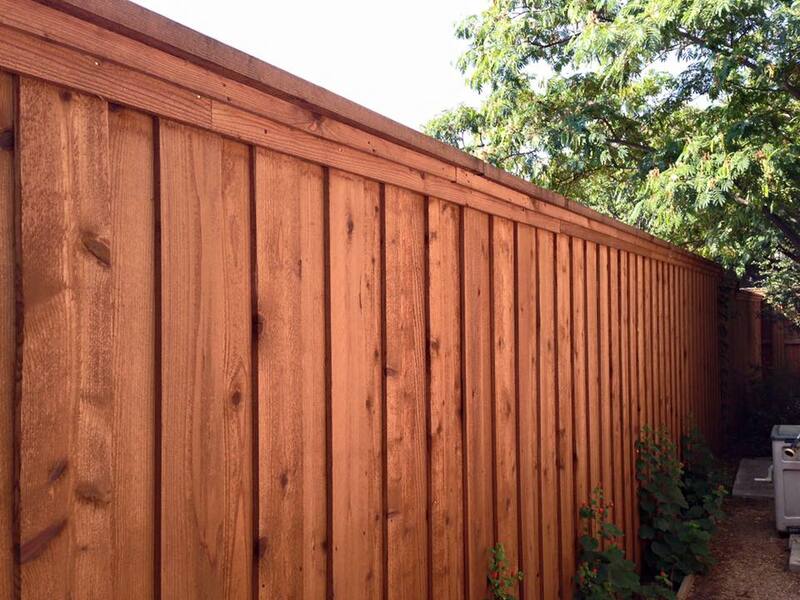 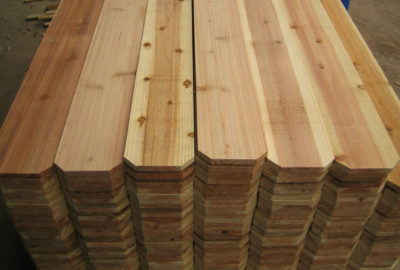 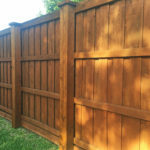 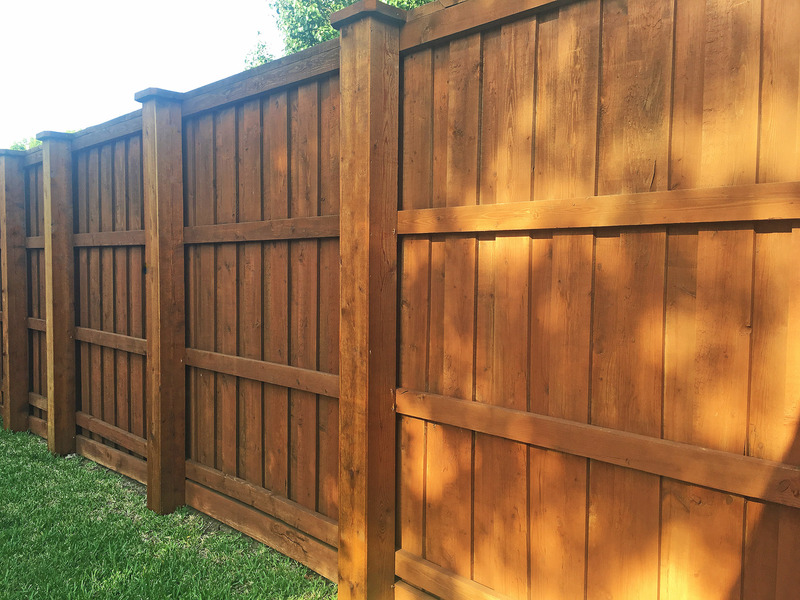 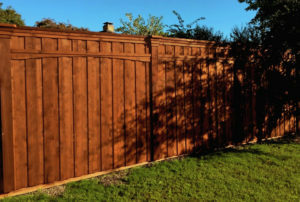 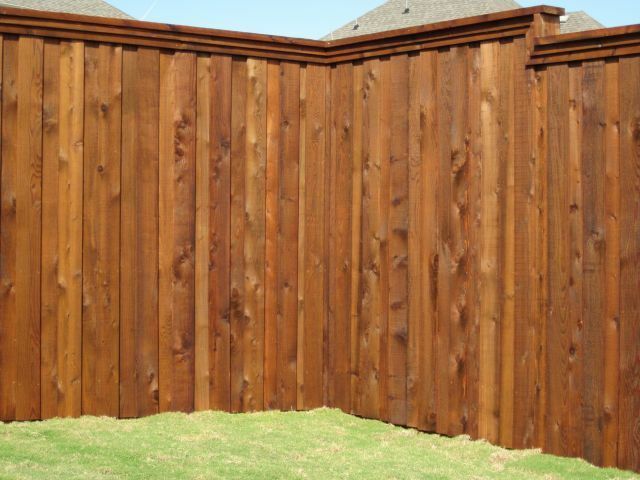 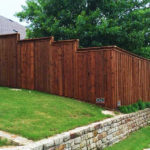 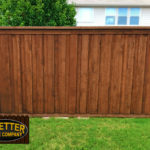 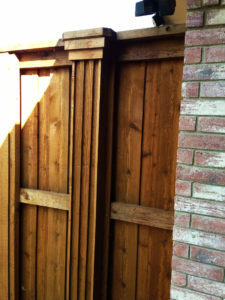 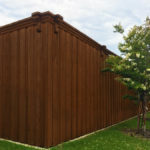 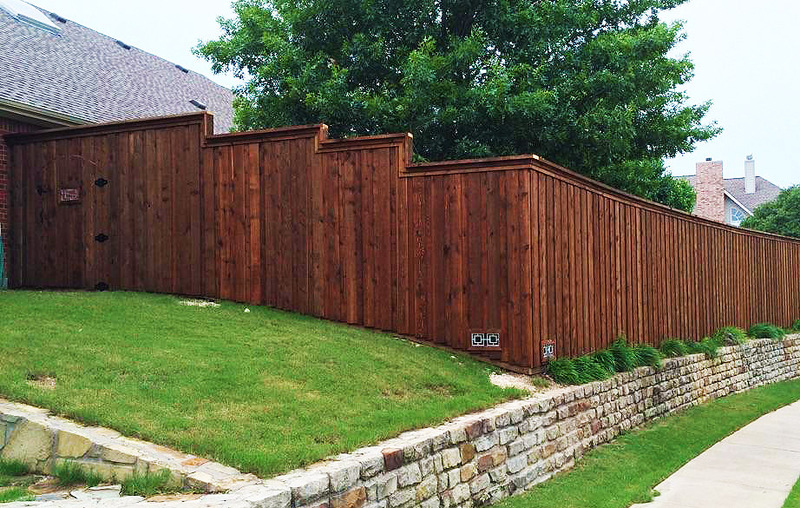 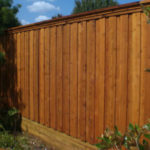 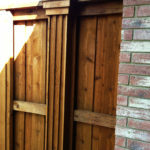 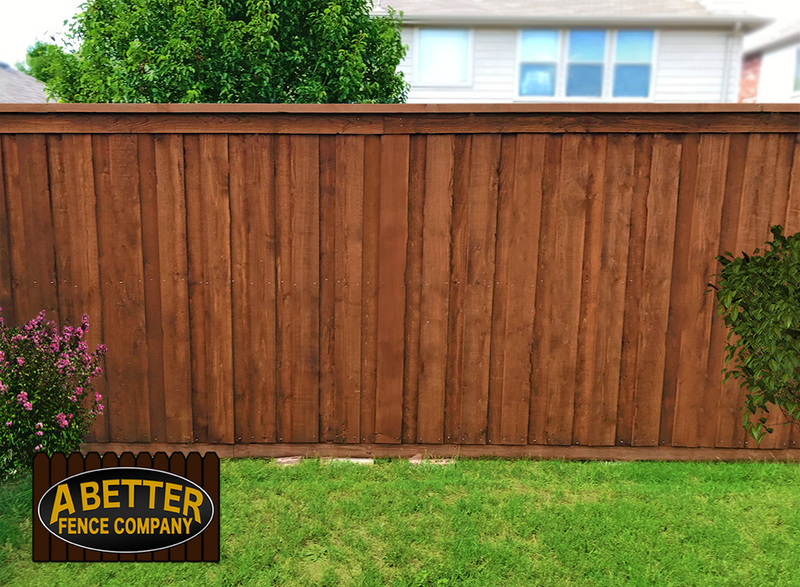 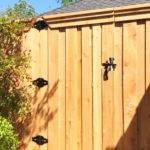 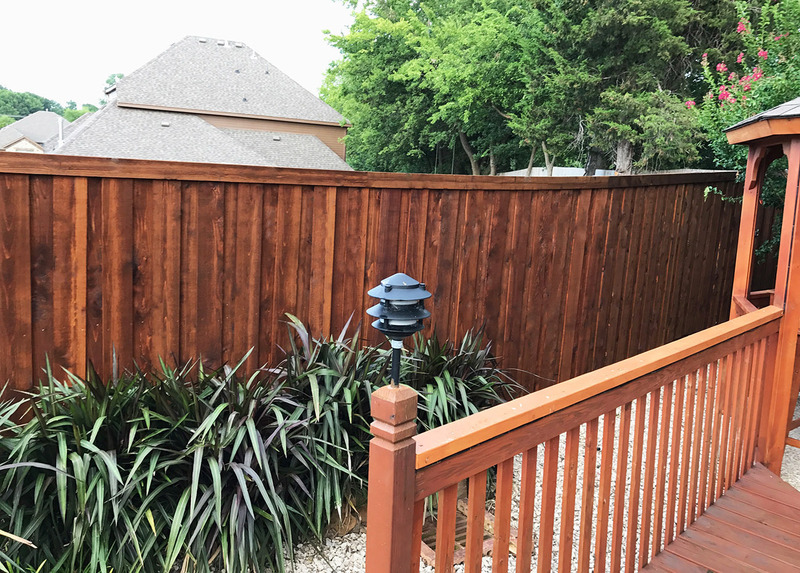 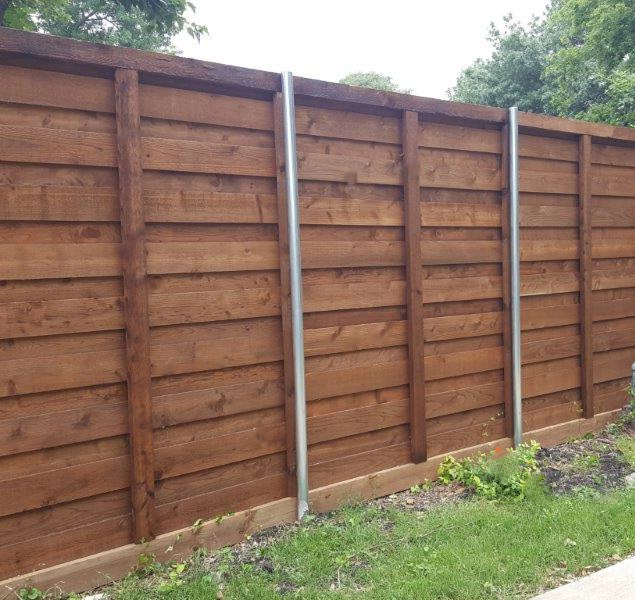 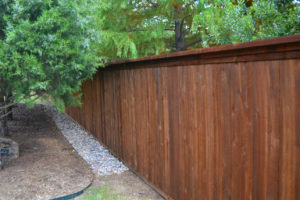 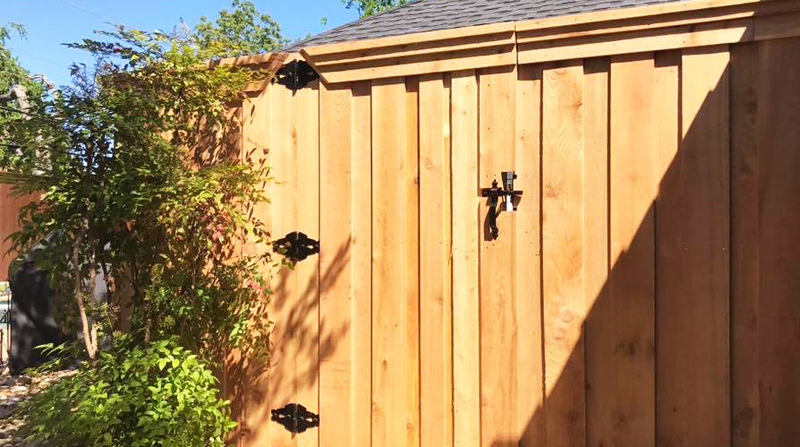 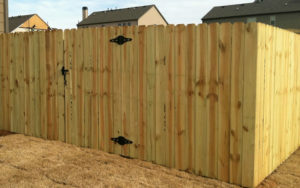 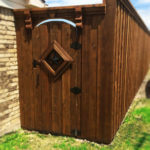 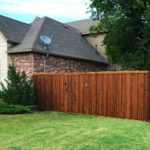 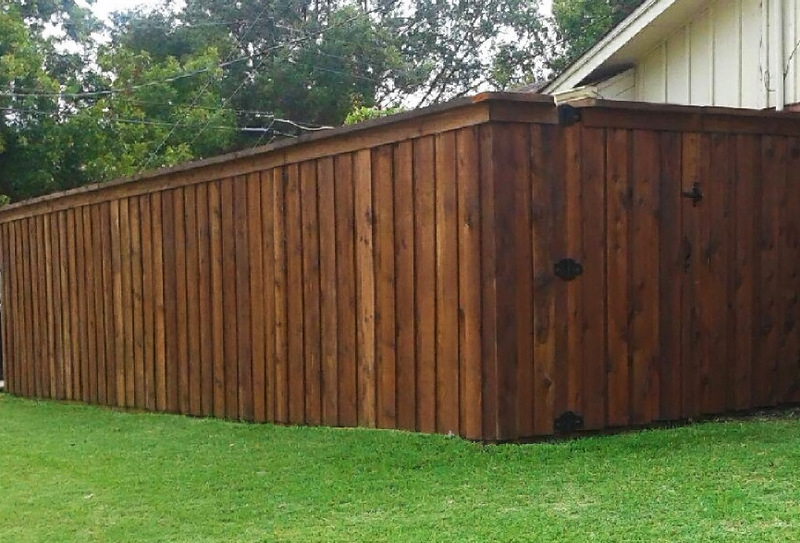 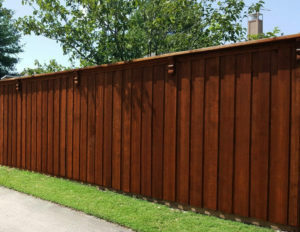 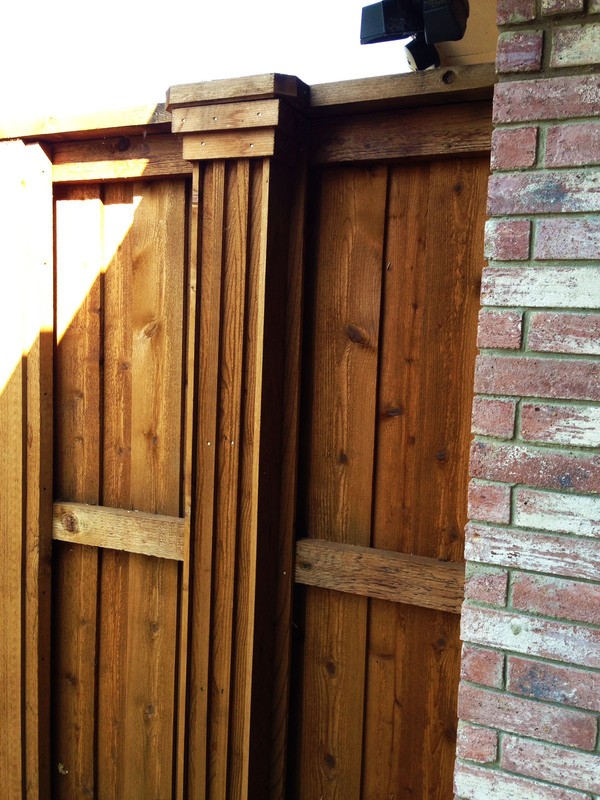 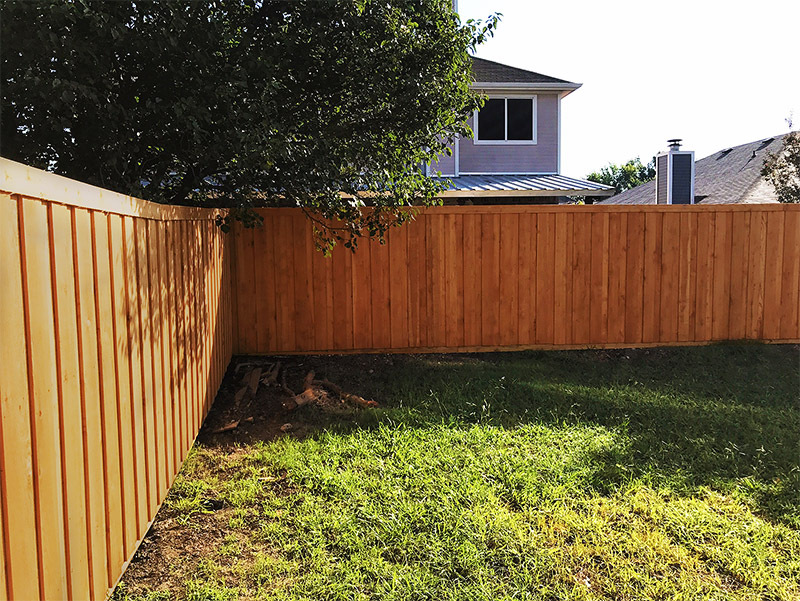 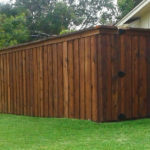 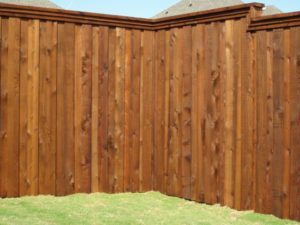 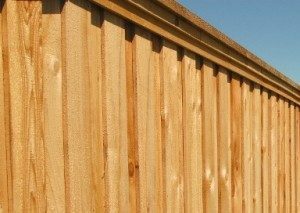 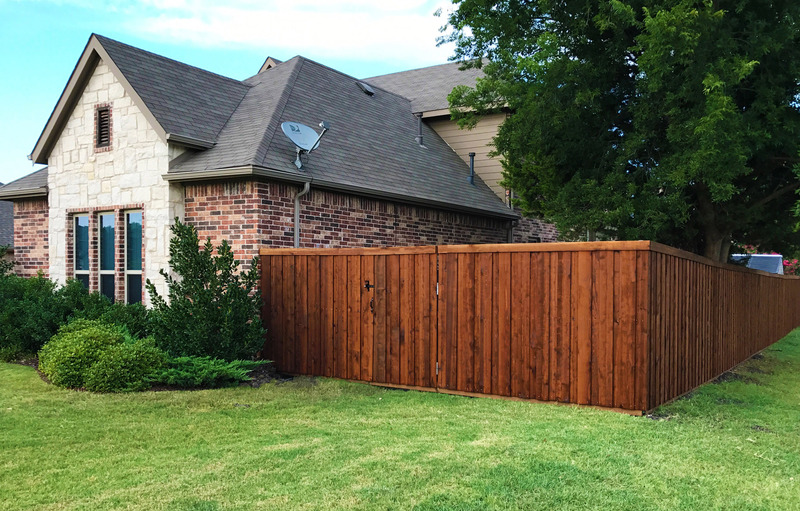 Our Frisco Privacy Cedar Fence is the sturdiest fence style available, and has unlimited options for customization. 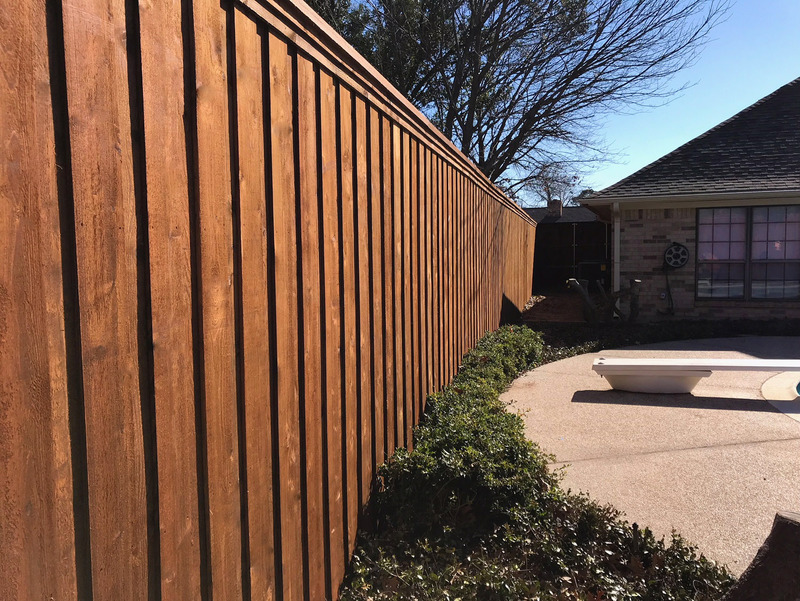 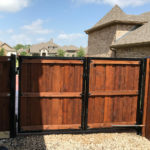 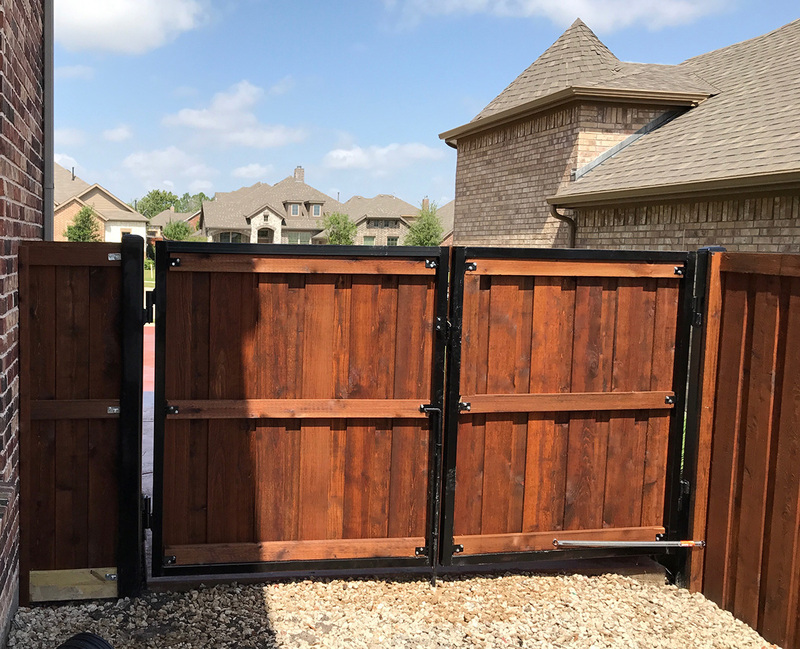 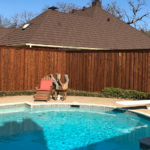 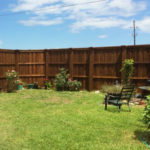 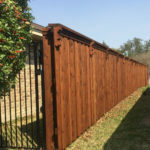 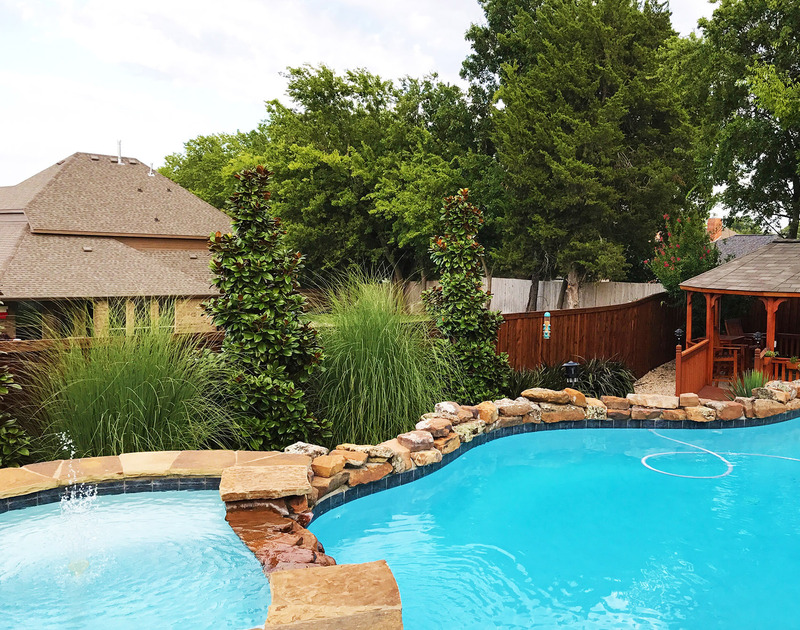 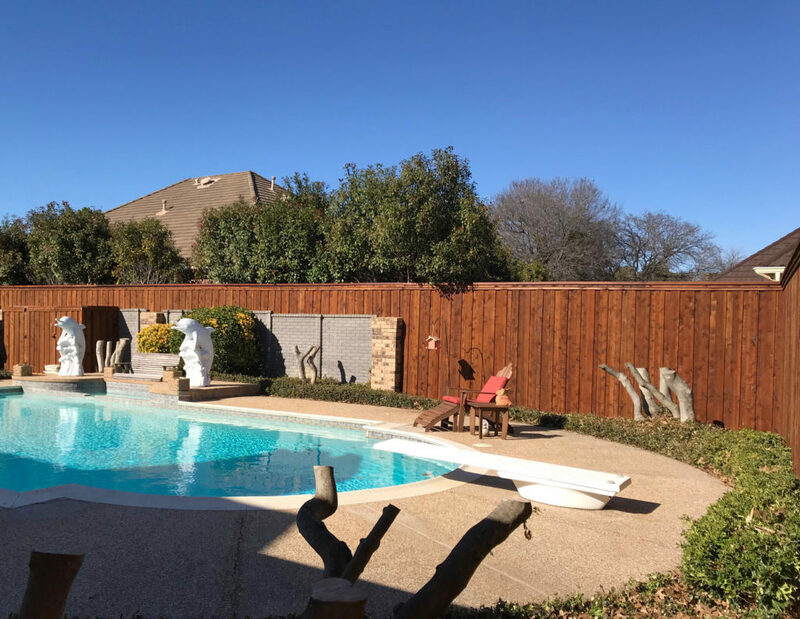 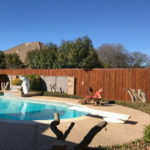 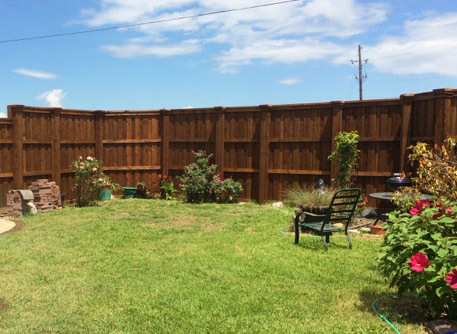 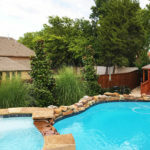 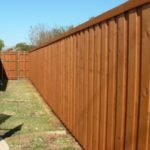 Although it is a premium fence, when you choose A Better Fence Company in Frisco, you can expect to pay less for this fence style without sacrificing quality. 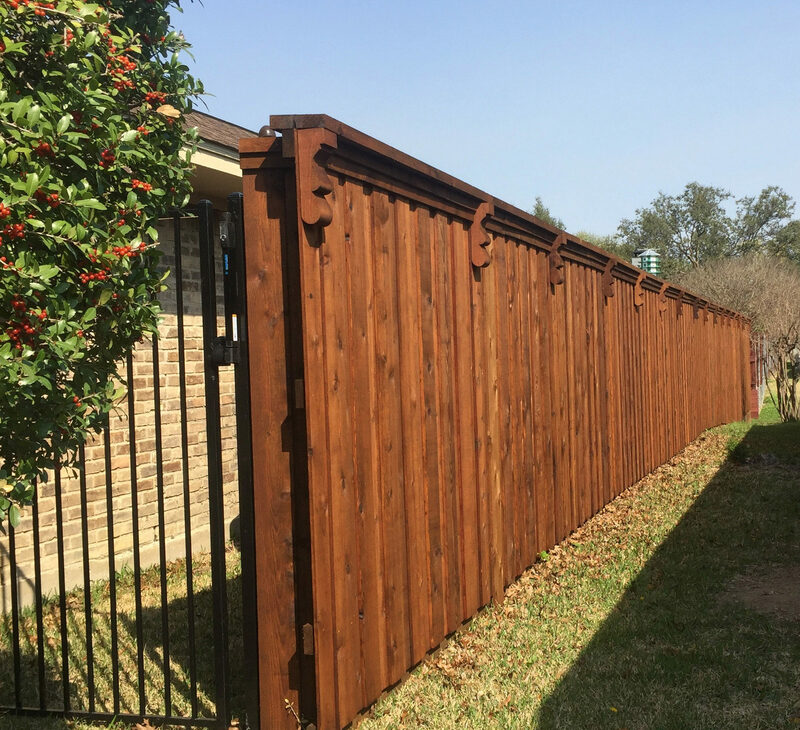 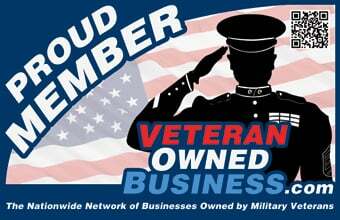 We offer a 3 year warranty on materials, and a 15 year warranty on workmanship for issues such as sagging gates, leaning posts, etc. 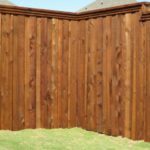 Want to customize your fence and make it unique? 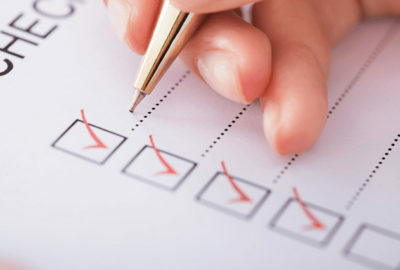 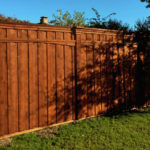 Make your fence the talk of the neighborhood with the following upgrade options! 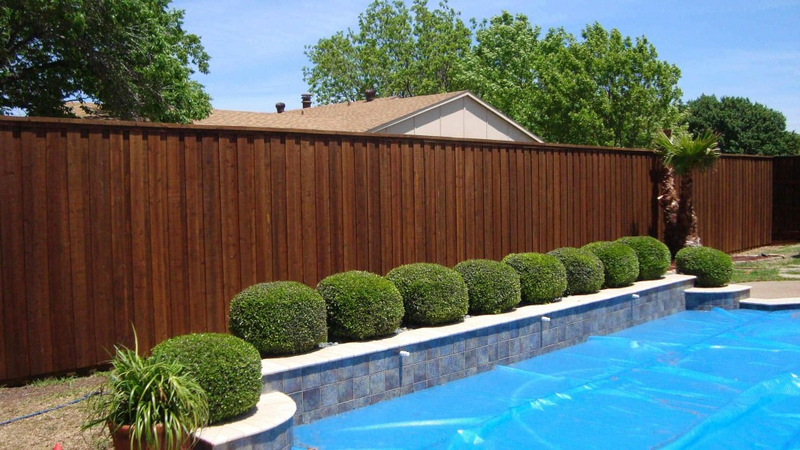 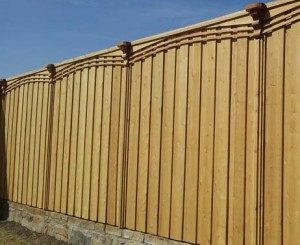 Choose just one option, or combine several for a long-lasting customized fence. 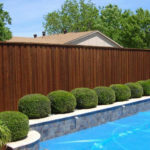 Top Cap- a not only decorative, but also functional 2×6 or 2×8 cap can be added to the top of the fence. 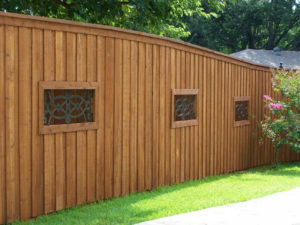 Double, Triple or Arched Trim- customize your fence and make it stand out! 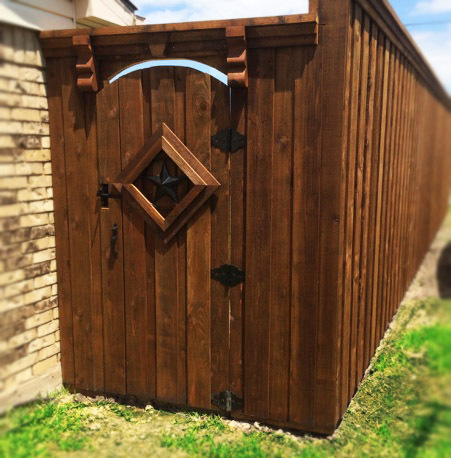 Corbels- decorative wood blocks that add additional style to your fence. 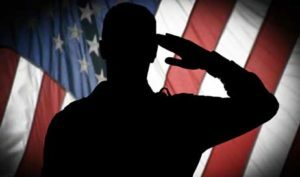 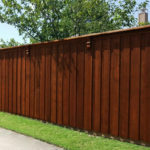 Although metal posts are recommended (and widely popular) for the construction of both residential and commercial fences in Frisco, due to the weather and the soil here, it is a concept that is unique to our area. 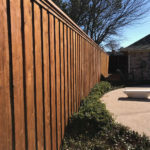 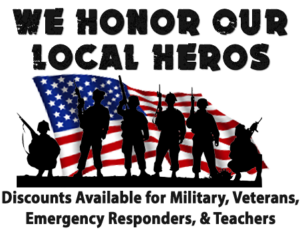 Many homeowners who move to Frisco from other states are not familiar with metal posts, and prefer the look of the traditional wood posts. 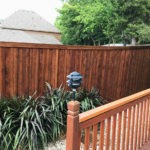 For this reason, we offer boxed posts as an option for homeowners who prefer the traditional wood post look. 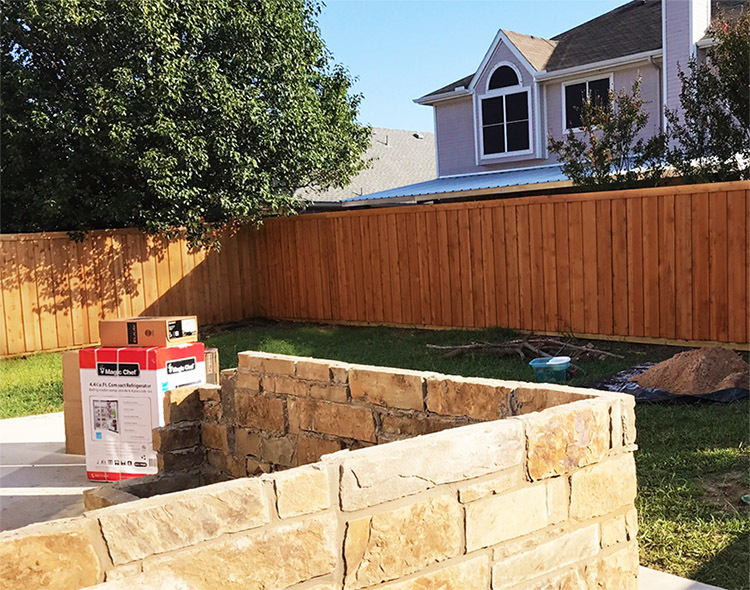 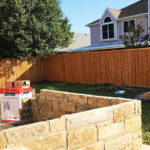 Boxed Posts are metal posts that are “boxed in” on three sides, hiding the metal posts from view while still providing the necessary support for a long lasting fence in Frisco. 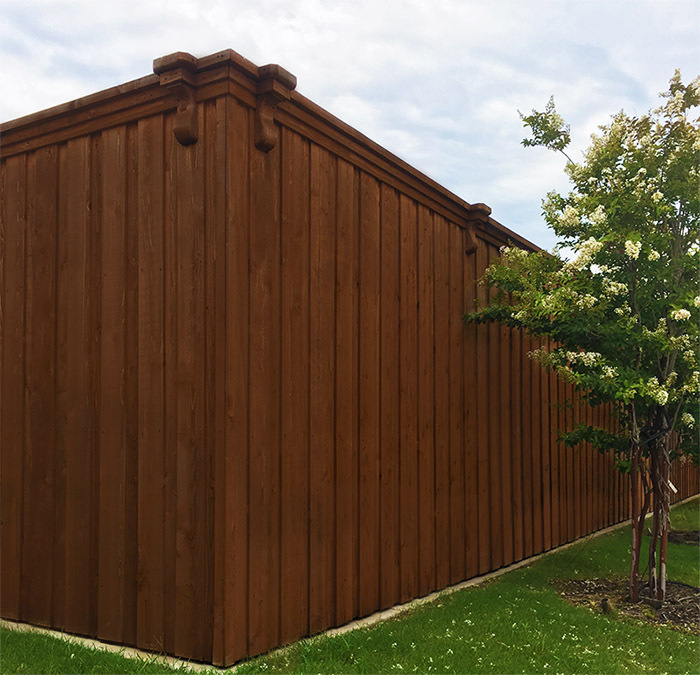 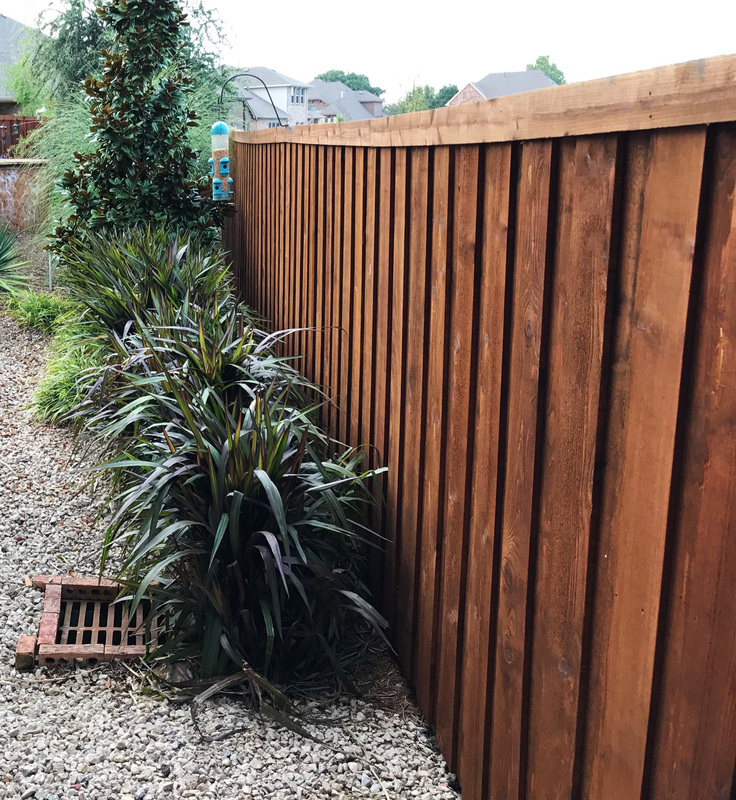 Boxed posts are available as an upgrade, and can be plain as seen below, or built with “fluted” wood for an even more decorative look as shown above. 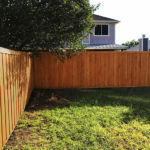 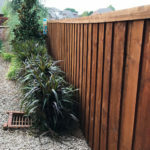 When you choose boxed posts, both sides of the fence have a finished look, so there is no need to debate with neighbors about which side of the fence will face in or out.